The Celtics face a 3-1 deficit in the series. 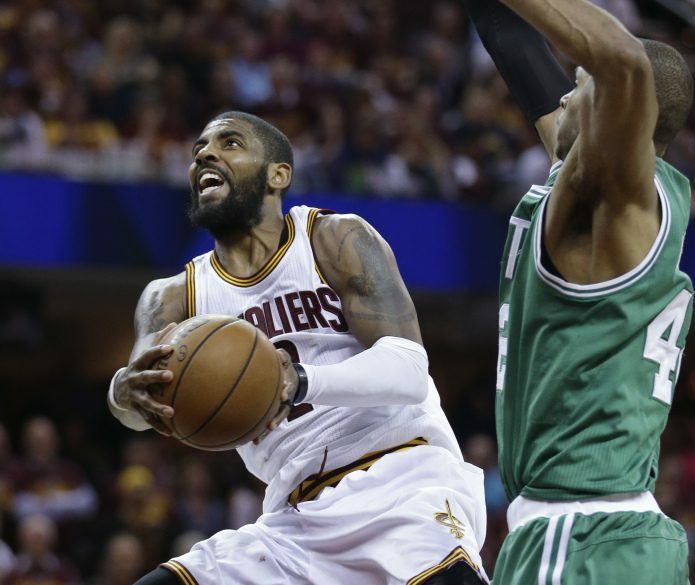 CLEVELAND — Kyrie Irving took over in the second half and finished with 42 points, LeBron James added 34 and the Cleveland Cavaliers moved within one win of an almost inevitable third date in the Finals with Golden State by rallying to beat the Boston Celtics 112-99 on Tuesday night in Game 4 of the Eastern Conference finals. The defending NBA champions can wrap up their third straight conference title — and a “three-match” against the Warriors — with a win in Game 5 on Thursday night in Boston. With Cleveland in jeopardy of dropping its second game in a row after James followed an 11-point Game 3 by picking up four first-half fouls, Irving put on a breathtaking one-man show in the third quarter. When the horn sounded, Cleveland’s players poured off the bench to greet him. They had to be careful not to knock him off his feet after Irving had put a scare through the frenzied Quicken Loans Arena crowd moments earlier when he stepped on the foot of Boston’s Terry Rozier. Irving stayed on the floor for several seconds before sitting up and re-tying his left sneaker. Nothing was keeping him out. Cavs coach Tyronn Lue chuckled before the game when he was asked if he planned to say anything to James following his sub-standard performance in Game 3. Lue should have warned James to be careful, too, as the superstar picked up four fouls and spent the final 6:46 watching from the bench, unable to help his team. But beyond James’ foul trouble, the Cavs were having other issues as the Celtics outplayed them at both ends while opening a 16-point lead. And in the third quarter, the All-Star guard had James’ back again, keeping the Cavs on their collision course with the Warriors.